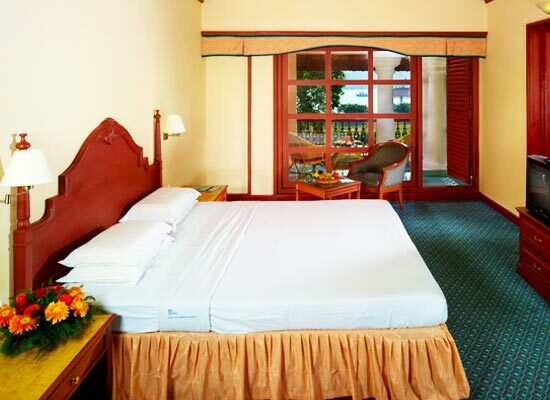 "Located on the scenic island of Bolgatty, Bolgatty Palace and Island Resort is a wonderful accommodation option for business as well as leisure guests. 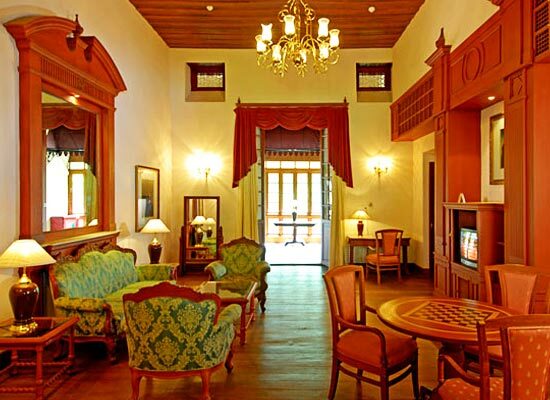 Built in 1744 by Dutch traders, today it is one of the best heritage hotels of Kochi. This exclusive mansion has four capacious rooms that boast of a wonderful decor and are fitted with contemporary comforts. A stay away from city's chaos becomes a memorable experience. 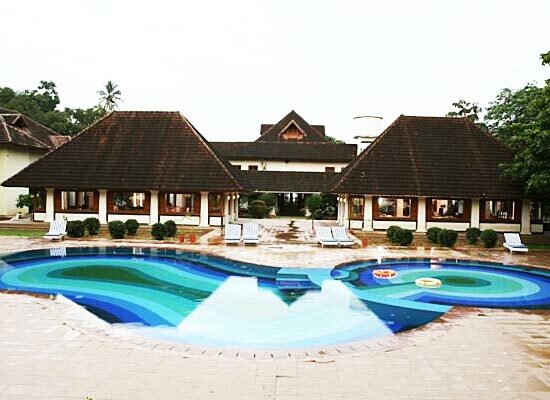 Gym, swimming pool, 9-hole golf course, boat cruises, restaurant and bar, conference hall, recreation room are some of the facilities offered here. 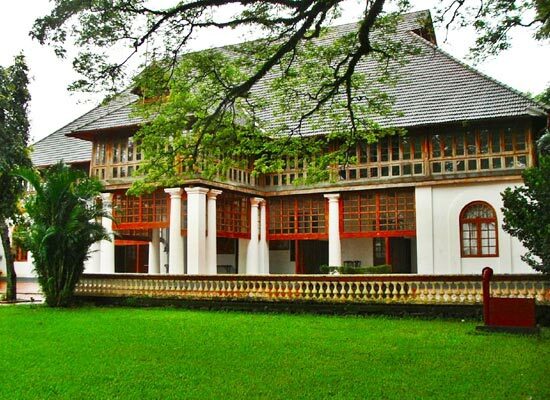 Bolgatty Palace was formerly a Dutch villa built in 1744 A.D. It was handed to the British in 1909 and was used as their residential property till the colonial period. Set amidst the verdant green of Bolgatty Island, this Heritage hotel answers your call to world class living and services. You can take your pick from the 4 palace suites, deluxe rooms and the waterfront cottages. The waterfront cottages are highly recommended. Much of the heritage value of the hotel has remained intact. Only modern facilities have been incorporated so that the clients get the best of both the worlds. Set amidst the verdant green of Bolgatty Island, this Heritage hotel stands apart in a class of its own. 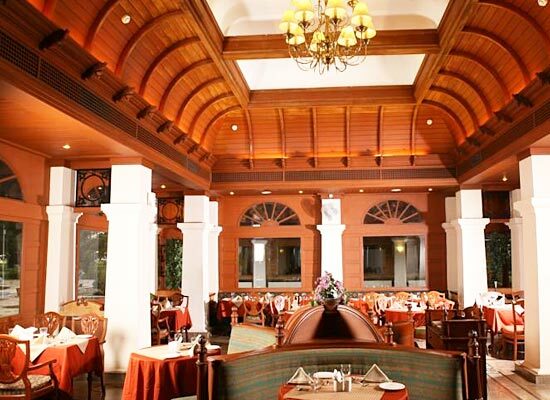 The multi cuisine restaurant in Bolgatty Palace, Kochi serves you the choicest of the cuisines in Indian, Continental and Chinese. The beer parlor inside the hotel premises is an ideal place to spend an evening with your friends. Check out the authentic Kerala cuisine from the restaurant. There is also a well decorated coffee shop in the hotel. 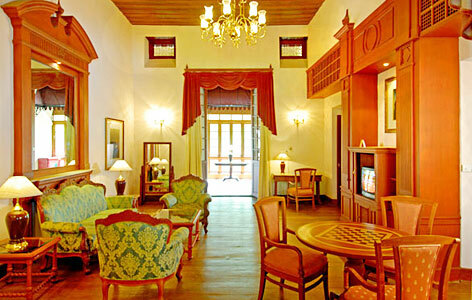 There is a well equipped conference hall and a separate board room in Bolgatty Palace, Kochi. The conference hall is well equipped with the latest automation technology. Kochi or Cochin is one of the busiest seaports in the country. It gains much of its importance from being a spice trading center in the past. In Kochi you will find a lot of Chinese fishing nets. You will often find the coast along fort Kochi dotted with these nets. St Francis Church, Vasco House, Santa Cruz Basillica are some of the favorite tourists destinations in Kochi.